In April of 2012, the Sankofa Lecture Series entered into public discourse as the only conference in the Colorado region that focused on the use of art and culture to enhance educational praxis. We accomplished this, in part, through unwavering community support and partnerships between the Denver community and local colleges and universities. 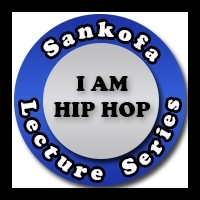 The curator of the Sankofa Lecture Series in tandem with dedicated volunteers produced activities and programs that situate the pedagogy and influence of Hip Hop as a site of cultural literacy, identity formation, and tool for innovative teaching. In 2015, the lecture series culminated on the campus of Metropolitan State University of Denver (MSU Denver), however, the movement to contextualize traditional fields of study through the conceptual framework of Hip Hop scholarship continues. Now in its fourth year, the Sankofa Lecture Series has transitioned to a consultant group. We pledge to offer institutions guidance on how to use the canon of Hip Hop as a means to compliment subject-specific instruction, and foster meaningful dialogue among high school and college/university stakeholders (i.e., students, staff, administrators, faculty, alumni, community and so on). To increase curriculum connections and innovative approaches to teaching through the use of didactic concepts of Hip Hop culture. To increase knowledge of how elements of Hip Hop culture have been used to communicate the perspective of marginalized communities on issues of race, identity, and (regional) space. To critically examine the artistic conflict between affirming and harmful representations of Hip Hop culture, and how such issues impact identity formation and literacy. The Sankofa Lecture Series has been awarded the Inclusive Excellence Shield for our steadfast commitment to advancing cultural competence through reflection, professional development and education. This recognition was bestowed by the Equity in Excellence (EiE) Steering Committee in collaboration with the MSU Denver Office of Institutional Diversity.